The wall-mounted coat rack Stopf by the designer Felix Nolze for Müller Möbelwerkstätten impresses with its timeless elegant design. Thanks to the ten generous hooks, coats and jackets can be stylishly hung up. 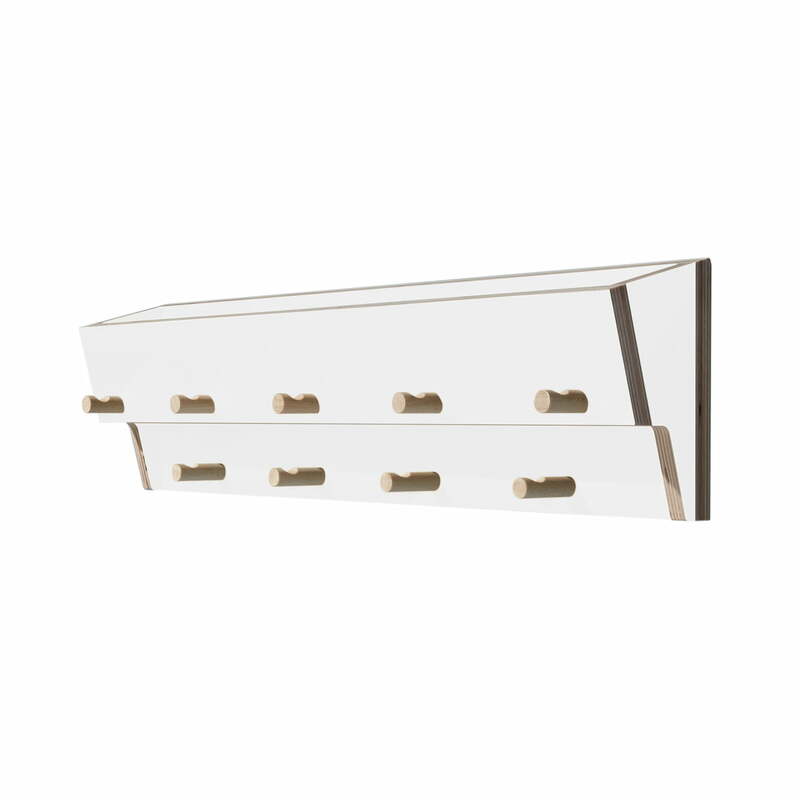 These are placed on different levels, one above the other, offering even more storage space. 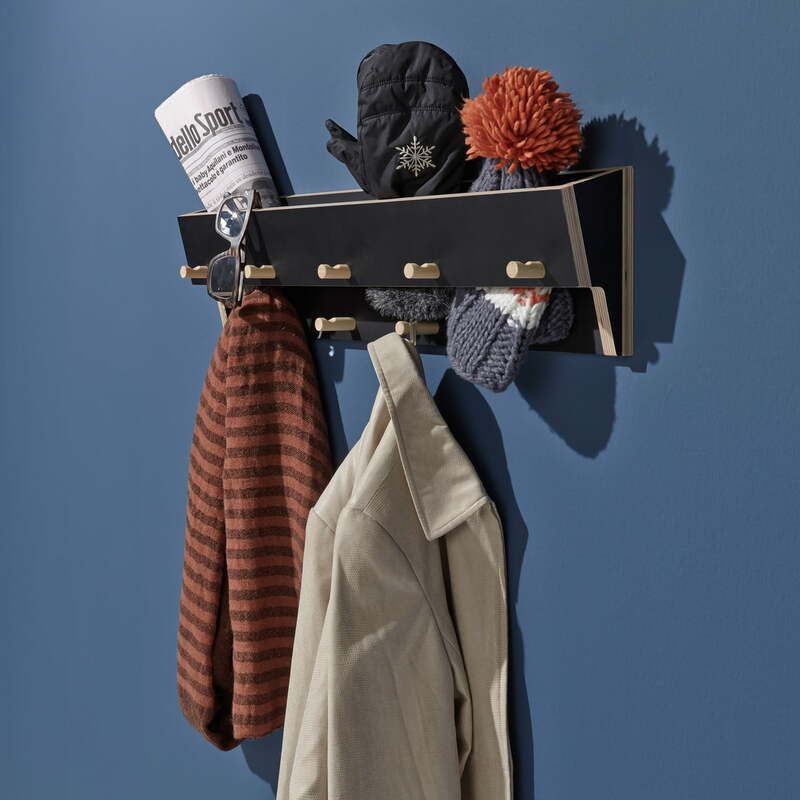 A special highlight of the Müller Möbelwerkstätten coat rack Stopf (meaning "stuff" in German) is the tray open upwards, in which gloves, hats and scarves can be kept or "stuffed into". Losing gloves or hats is now a thing of the past thanks to the innovative Stopf coat rack. The practical storage compartment slanted outwards prevents personal items from falling out and ensures cell phones, sunglasses and other accessories are always at hand. The coat rack is made of a material typically used by Müller Möbelwerkstätten: birch plywood with high-quality CPL coating, which makes it particularly robust, light and resistant to scratches. Detail illustration of Stopf wall coat rack in black - losing accessories is now a thing of the past thanks to the innovative Stopf coat rack. 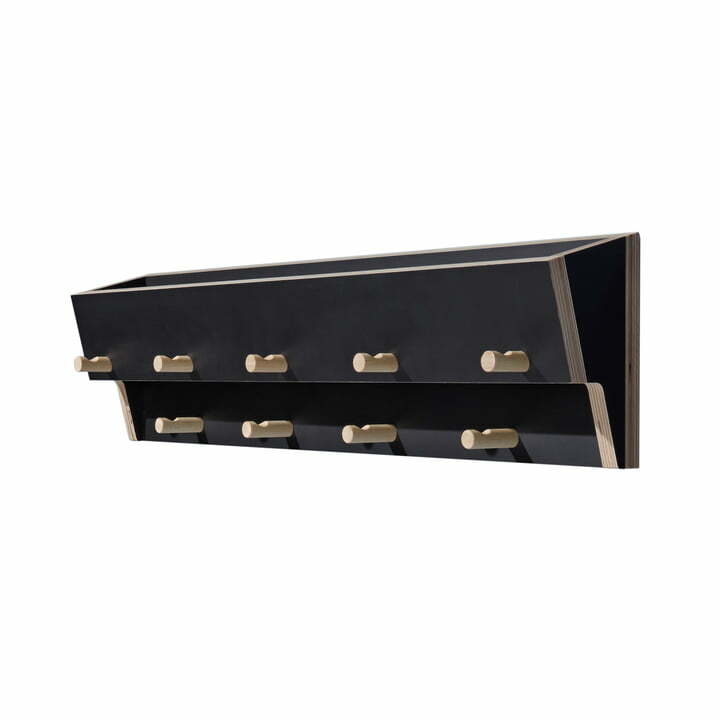 A storage compartment slanted outwards prevents items from falling out.